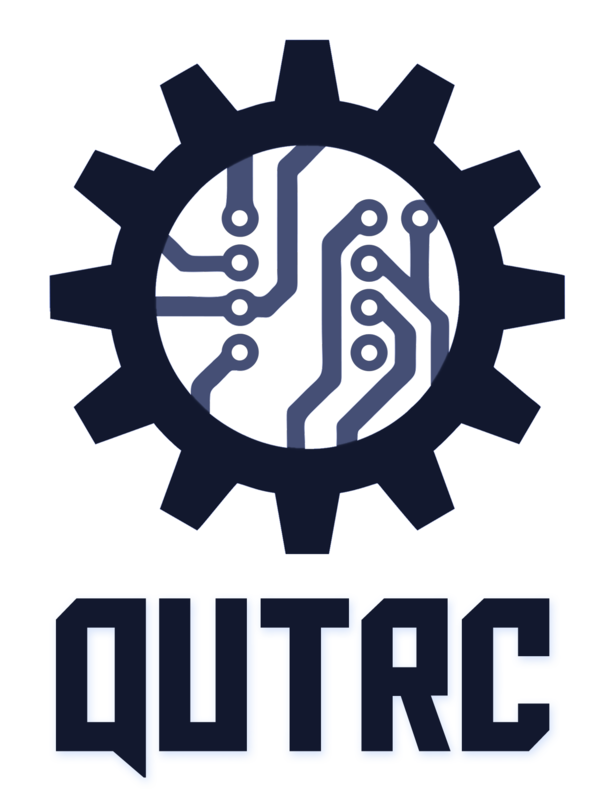 The task set by the QUT Robotics Club for the inaugural Droid Racing Challenge (DRC) was not a trivial one – to design a ground based vehicle capable of autonomously navigating around a track, other vehicles, and obstacles, using robotic vision. It is a simplified version of what Google, Tesla and Uber are grappling with to make cars that drive themselves, attempting to remove human error and making driving safer for everyone. Humans are very good at processing visual information, and making robots capable of replicating this skill was indeed a challenge. Teams from QUT, UQ, Griffith and UNSW competed in head to head races throughout the day. The deserving winners (by virtue of being the only team to fully complete the track) were UNSW who timed 4 minutes 13 seconds. UQ gave a solid effort coming in second place, and one of the QUT teams snagged third place. It was a tough event, but all competitors agreed it was worthwhile and are keen to come back next year. Robotics competitions have a history of teams struggling the first time around, then coming back and smashing it once they have some experience with the challenge; take the DARPA Grand Challenges for instance. The 2004 DARPA Grand Challenge was a driverless car competition with a 240 km route and 15 teams in the final. That year, none of the entrants completed the challenge, with the best effort traveling a mere 11.78 km. The 2005 DARPA Grand Challenge had 23 teams take part, with all but one besting the previous year’s record, and five completing the full course. The teams at the Droid Racing Challenge did a bit better than that (relatively speaking), and if history is anything to go on we will see some impressive performances next year. Building great robots was not the only goal of the DRC. We wanted to introduce an Australian robotics challenge that was new, interesting, and inspired innovation in a field that is brimming with real-world potential. It was fantastic to see how each of the teams fully engaged with the challenge and talked with each other about their different approaches to the task. The DRC also brought the QUT and Brisbane communities closer, who were excited to see something like this in the city. Below we have listed some of the coverage the event received. The audio at the start of this article is from an evening radio spot on 612 ABC Brisbane, who also did a live cross from the event in the morning. This event may have started with the QUT Robotics Club, but would not have been possible without many people and organisations who generously gave their time and sponsorship so that this event could happen. The competing teams, QUT staff and students, volunteers on the day, and our sponsors Boeing, Insitu Pacific, QUT School of Electrical Engineering and Computer Science, the Australian Centre for Robotic Vision, and Boost Juice are all deserving of thanks. The individuals who made this happen know who they are, and we are extremely grateful for their contributions. The Droid Racing Challenge also marks a rotation of the current executive team, who lead the QUT Robotics Club in 2014 & 2015. Some of us have been around for two or so years now! With all of the crew moving on, I would just like to say that I am extremely proud of my time with the Club, the work my fellow executives have done, and where we have left it for the new team to take over. Good luck for the year ahead! PreviousQUT Droid Racing Challenge 2016!